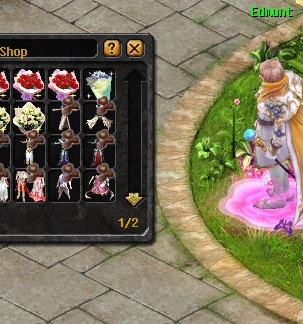 LOVE SHOP and LOVE EVENTS! – they are NOT TRADABLE! – they will dissapear if dropped! During the event time all monsters will be giving possibility to provide (yes directly into your bag!) Chocolates if you are in team or without! Additionally You can work for your Spouse. While you will be in party with your Spouse and together will hunt, you as a LEADER of team getting additional chance to win special LovePack items that will be automatically provided to your spouse bag! 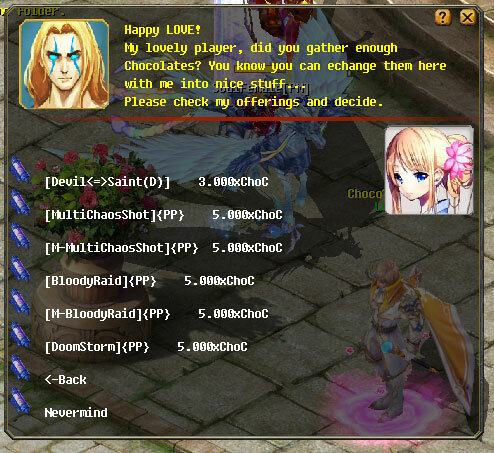 LovePack and Chocolates are stackable till 65000 amount! LovePack items can be used. 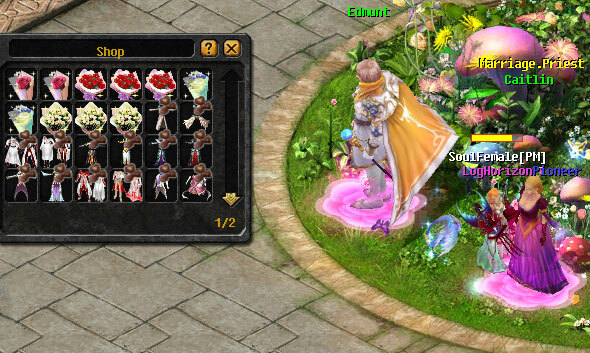 When they will player will receive randomly 1-20 Chocolates additionally! For everyone who saying that hunting with spouse does not provide LovePacks! YOU MUST be NEAR your spouse (screen + little size at max far) in order to benefit form this! 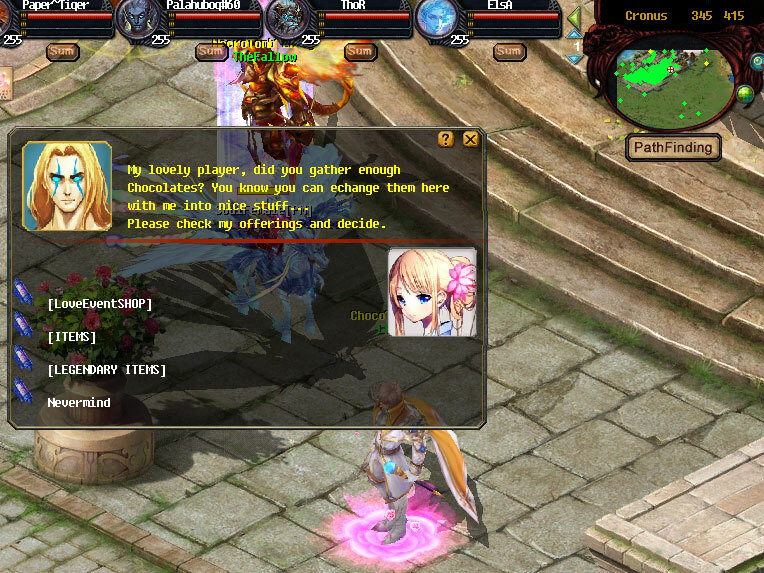 For exchanging Chocolates player will have ability to claim many special love suits. Additonal some items and special items with mounts! 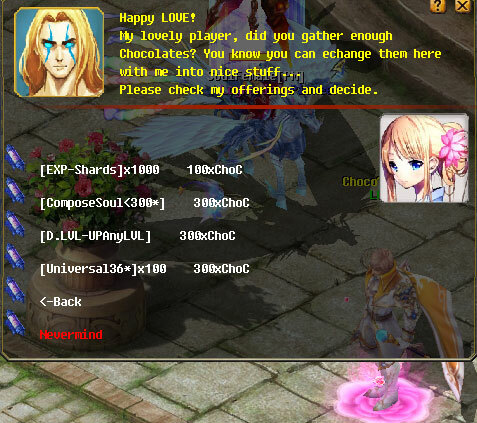 1 Comments ON " LOVE SHOP and LOVE EVENTS "